Just like that, this child was able to show accountability and admit that he was in an uncomfortable situation that would be hard to navigate for anyone. 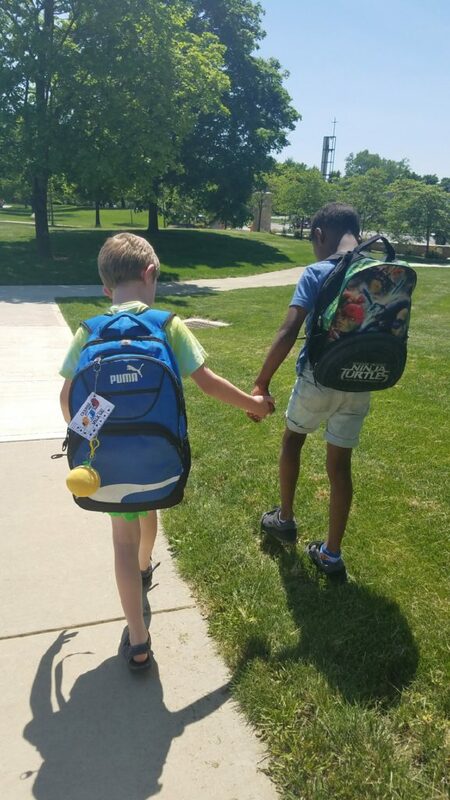 While there could have been drama and some hurt feelings, these boys were able to follow a path that ended up affirming their friendship. They showed an incredible amount of acceptance and understanding for each other and then they were able to just let it go. I was in awe! We see so many friendships lost because of people not being able to own up to a mistake they made and because they avoid situations that are difficult to fix. Jeez. Let’s give ourselves a break. We are human and we are going to mess up from time to time. I know for me, apologizing is really hard because I fear the response. Nine times out of ten when I apologize its all Kumbaya again but that one time when you get an earful of ranting about how bad you made the other person feel, well, who would ever have the guts to apologize again? (within reason; for me personally, if they begin to beat a dead horse, then I would reconsider my friendship). Now on the flip side, how many of YOU have failed to take the initiative to confront a friend and express how a situation made you feel?